We are not just pretty faces!! 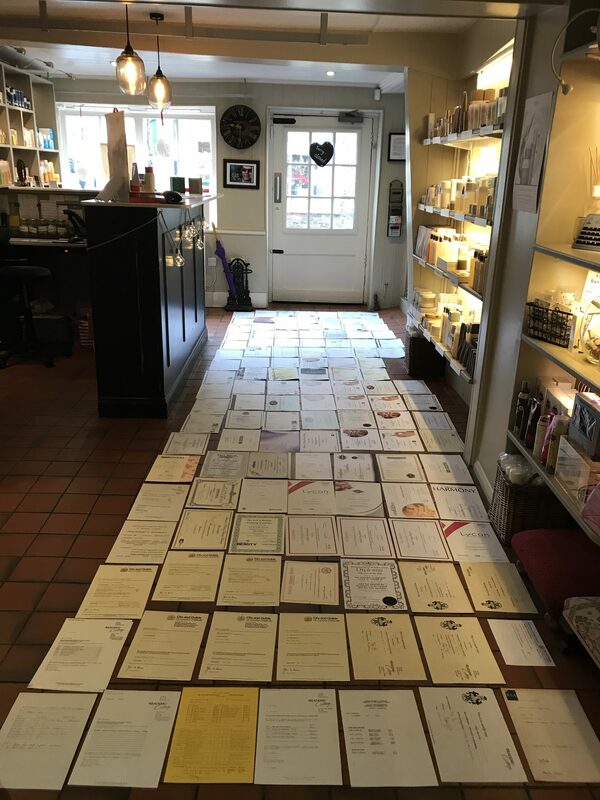 The photo above shows just a few of our certificates, we were astonished to see we could actually cover the floor of the entire salon! All students must have both Maths and English GCSE 3 or above before they can train as a therapist. 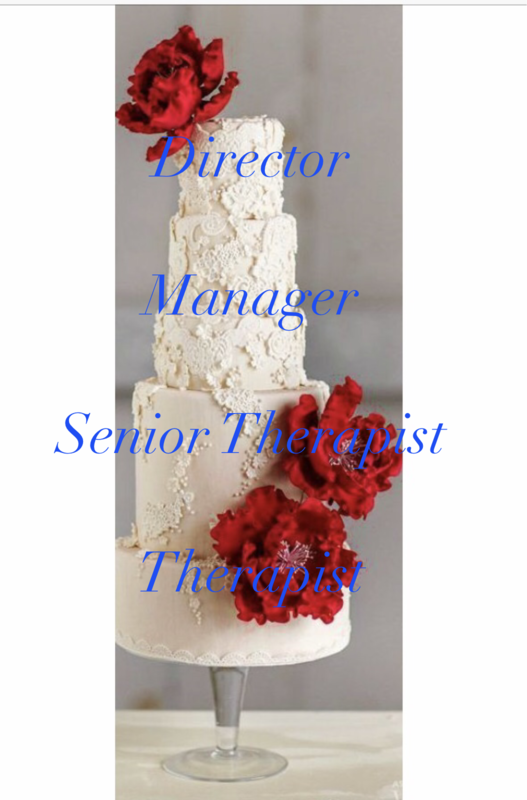 All my therapist have to go through at least two years of extensive full time training to receive the highest standard NVQ or equivalent qualifications. Once this minimum is achieved our therapists will be given time to practice & hone their skills ready for the next stage. When we feel Therapists are ready they will be sent off to receive induction training on all brands that are used in our salon. Rest assured to comply with our strict insurance policy all our Therapists can only perform treatments when they have completed training and recieved a certificated qualifications. We allocate time and provide weekly training for all team members with both brand representatives and in house mentoring so that we can exchange new ideas and develop our techniques. 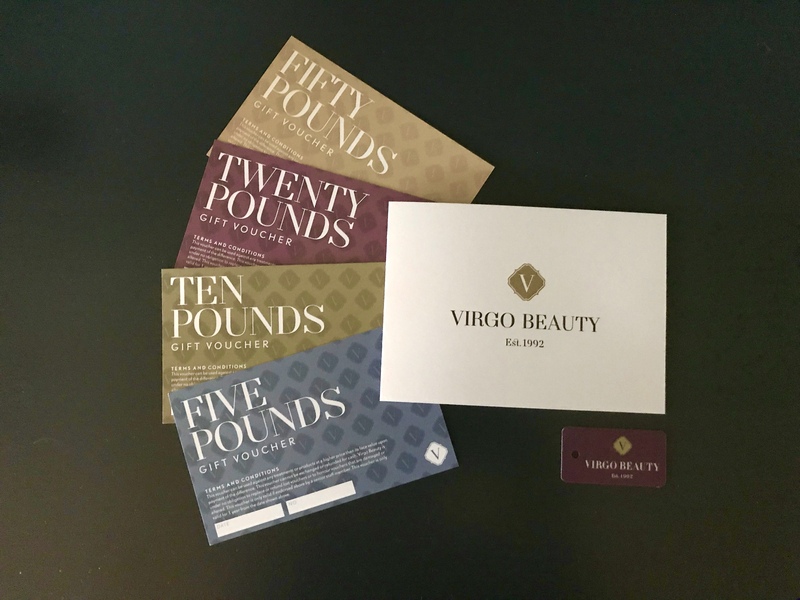 Training is an on going expectation at Virgo Beauty and we take our responsibilities very seriously when it comes to motivating and developing our staffs skills.